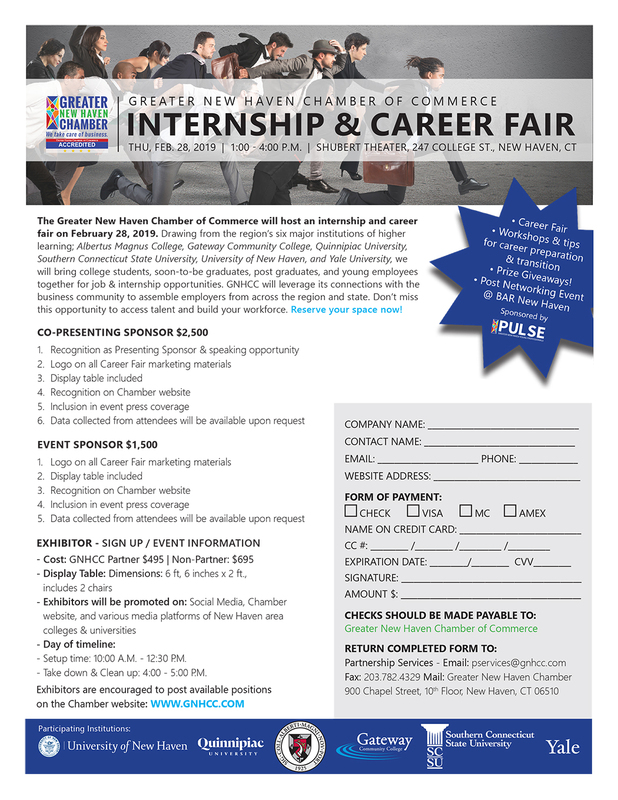 The Greater New Haven Chamber of Commerce will host an internship and career fair on February 28, 2019. Drawing from the region?s six major institutions of higher learning, we will bring college students, soon-to-be graduates, post graduates, and emerging talent together for job and internship opportunities. 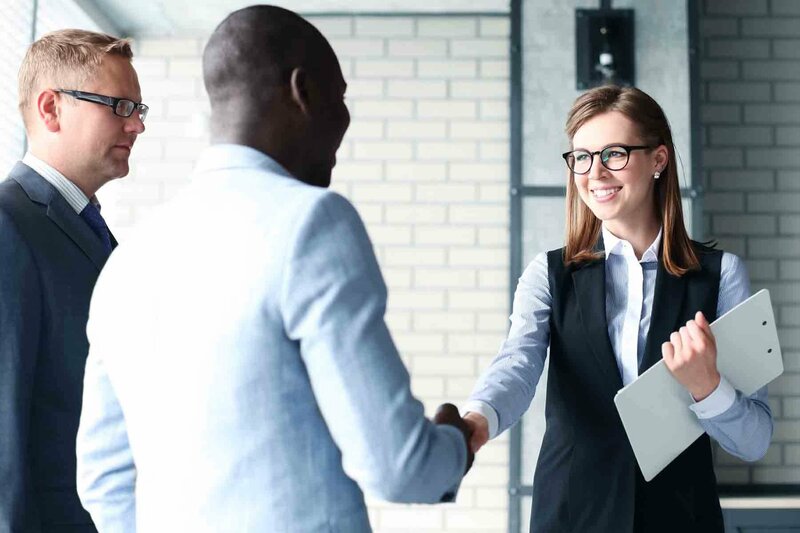 GNHCC will leverage its connections with the business community to assemble employers from across the region and state. Don?t miss this opportunity to access talent and build your workforce. Join PULSE, GNHCC's Young Professional Group at BAR New Haven after the Internship & Career Fair for a networking event from 4-6 PM.